Increase collaboration, improve productivity and empower mobility, with a cloud-based unified communication solution that will help you connect with constituents, retain donors and drive strong outreach programs. The idea behind UC is that a staff member can access and reply to a message using whatever device is convenient at the moment regardless of what sort of device the message was generated on. This results in less lag time between replies and the organization will be able to communicate more effectively, both internally and externally. With The UniVoIP App, our customers experience total functionality and uninhibited business communication through the mobile and desktop interface. Whether it is used from a desktop, laptop, tablet or smartphone, users can access the company directory for a quick IM chat or call capabilities. They also can manage calls with mute, transfer, park, place on hold, flip call or call recording options as well as merge calls into a three-way conference. The OfficeConnect™ Online Portal offers an integrated solution that is centralized in the cloud. It has been designed to automate usual provisioning functions with a very intuitive user interface that makes it easy to add and change users, assign phones, manage extensions and/or groups at anytime, from anywhere. From the moment you become a UniVoIP customer, our Customer Care team goes to work on behalf of your business. Our US-based team works directly with you to ensure experience with our business phone system is beyond expectations. You get receive first-class customer care as you should. UniVoIP has extensive experience providing outsourced nonprofit contact center solutions. Our customized agent training and advanced technology allows organizations to deliver an unparalleled supporter experience while increasing donations and improving donor acquisition and retention programs. Trust our expertise, capacity and sensitivity for your cause to handle your fundraising and donor contact center service needs with the dedication you would expect from an industry leader. Nonprofits take full advantage of cost savings with absolutely zero capital expenses. Enjoy a smooth upgrade without compromising your budget and with zero dollar provisioning, complimentary shipping of pre-configured equipment and 24/7 US based customer support at no charge. Get new VoIP phones and premium services at a very low monthly rate that your organization can afford. Unlimited free US calls plus very competitive international rates (as low as $0.01 / minute). Customer Service and Support Quality – The top factors influencing buying behaviors in the nonprofit industry are related to Service Level Agreements (SLA). UniVoIP is “easy to do business with” and exhibits 98% renewal rates demonstrating that our 24/7 US-based customer service is of the highest quality. UniVoIP solutions and IP phones are the greenest in the industry. It actually costs twice as much to power a Cisco solution than it does a UniVoIP solution. UniVoIP Conferencing solution enables nonprofit organizations to hold scheduled or ad-hoc conferences. The organization can set up conference bridges for organizational board meetings to serve members, donors, and the public who are unable to attend meetings in person. UniVoIP Conferencing can also be utilized in the meeting room, allowing members and donors who are unable to attend the meeting, follow along from home in an audio/web/video lesson. Triggered by inbound or outbound calls, WebConnect scans designated online sources for relevant information based on the caller’s phone number or name, and gives the user immediate access to profile data on the caller with automatic web-based screen pop ups. Launch preferred URL’s such as Salesforce, SugarCRM, ZohoCRM, Twitter, Facebook, LinkedIn, Google, Timelybill, Freshdesk, Zendesk and more. View other intelligent VoIP features including UniVoIP App. UniVoIP’s auto attendant is available to every department, extension or mailbox within the organization. 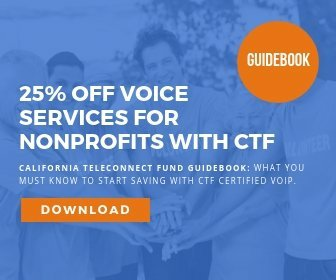 This is because the nonprofit-designed auto attendant can be customized as a call tree with unlimited routing combinations. In addition, you can leverage the embedded multi-lingual auto attendants and allow callers to be routed to their destination quicker and more efficiently. Our mass notification solution allows nonprofit organizations to reach supporters and drive donations, broadcast alerts and messages to the list of donors and members through phone, e-mail, text, or overhead paging. Improve ongoing engagement and communication, schedule appointments, and send alerts and reminders in real-time. With a national secured network and geographic redundancy, UniVoIP is guaranteeing Service Level Agreement, allowing you to focus on your core mission without worrying about your telecom infrastructure. UniVoIP solutions are configured with multiple levels of resiliency and redundancy to ensure survivability and business continuity in the event of outages, failures, disasters or human error. UniVoIP deploys MiNet™, an unpublished Stimulus Protocol that use digitally encoded name and value pairs to transmit information. The secure MiNet and Secure Real-Time Transport Protocol (SRTP) privacy and confidentiality benefits apply specifically to Internet based connectivity between organization and our network. Our emergency 911 application and Emergency Response Advisor application allows emergency personnel to pinpoint on the desktop exactly where a 911 call was placed. It also has the capability of notifying when and where a 911 call was placed to local nonprofit organizations personnel.